Thank you for inspiring a great event! Congratulations to all of our winners of the 2019 Cajun Cook-off! You can still help local girls be strong, smart, and bold. Make a donation below, or purchase an item on Girls Inc.'s needs list! 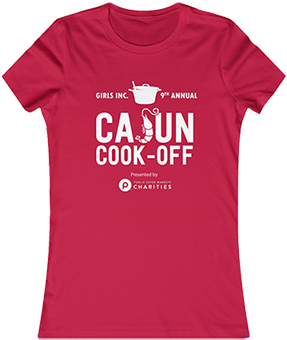 Thank you for supporting Cajun Cook-off and Girls Inc. With you in her corner, she will win! I have read and agree to the Terms and Conditions and give my consent to Girls Inc. of Central Alabama to process my personal data. I understand I can revoke this consent at any time. Want a souvenir from Cajun Cook-off 9.0? 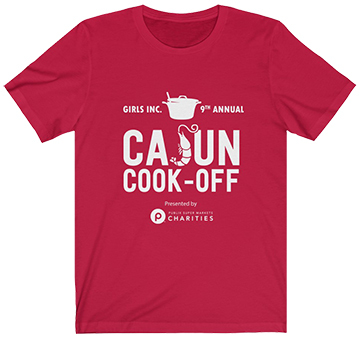 Get your 9th Annual Cajun Cook-off t-shirt today!